Wow, the year 2014 is running speedily to an end and what a year it has been for me. I've had my fair share of love, hurt, betrayals, pains, miracles, laughter, fun, grief, goodbyes, hellos and what have you. It is a year that I honestly cannot wait for to be over because I believe more positive things will happen for you and I in 2015. Yes, I'm towing the optimistic way and you should too because it helps one focus, aim and achieve more. 2015 for me, will be a year of endless possibilities, so help me God. I intend to disallow bad behaviours, negative and envious people, schemers, frenemies, etc from having a hold over my life. It must be a fresh start for me. Life is too short for us not to live it well and right, right? 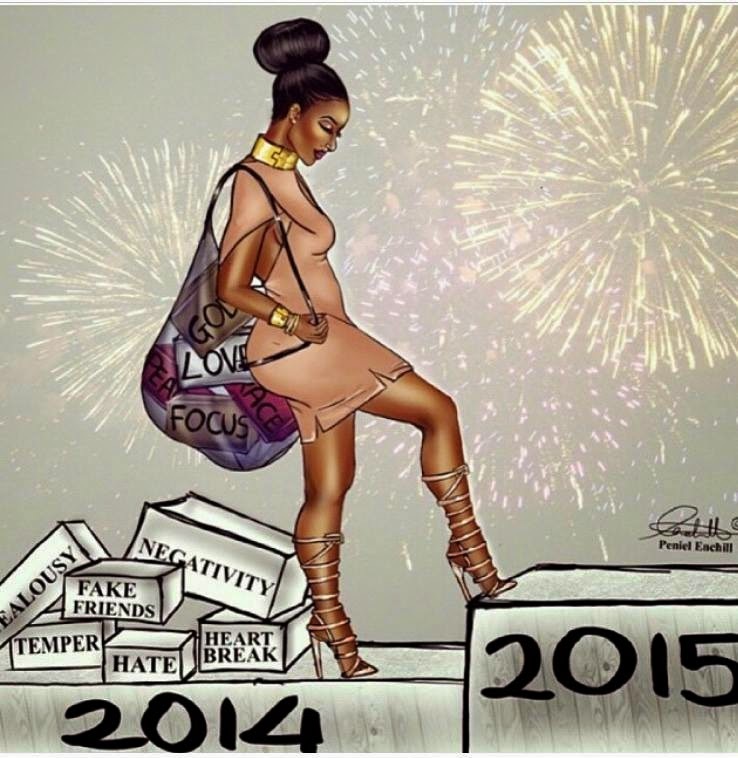 What's your 2015 looking like?